The Volkswagen Thing is a very unique vehicle. The styling is like a child drew a military vehicle and it was available in some very ’60s colors. It is underpowered and it is a miracle if you manage to walk away from a side impact crash. 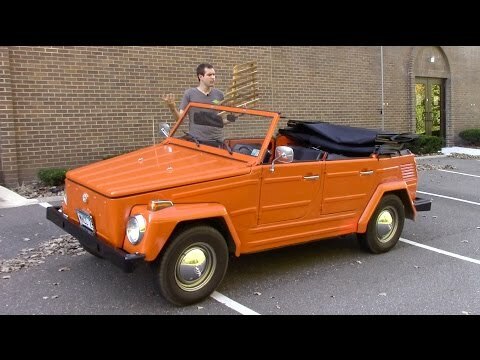 This video features Doug DeMuro reviewing a classic VW Thing. He shows you the negative and positive features of the open-aired vehicle. He shows why it’s fold down windshield is impractical and how much shorter its wheelbase is than a modern truck. He also explains that partly because of all of its flaws, it is an amazing ride. Make sure you don’t miss any of our video shares by subscribing to Daily Rides, using the below form. Also scroll down to the comments and let us know what you think of today’s video.